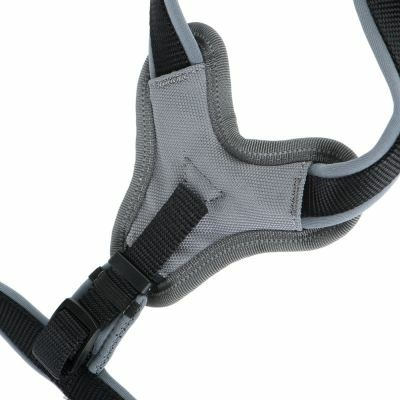 Hunter Neoprene Harness – black/ grey | Free P&P on orders £29+ at zooplus! 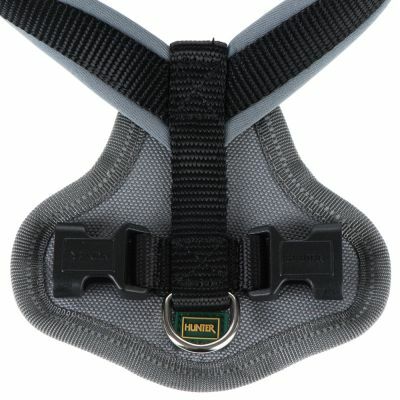 Hunter Neoprene Harness :"very good." 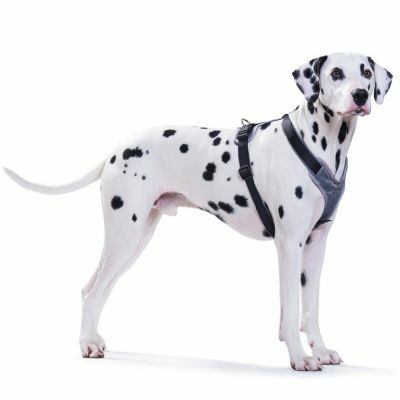 This Hunter neoprene dog harness is soft against your dog’s skin and offers your pet a high level of comfort. 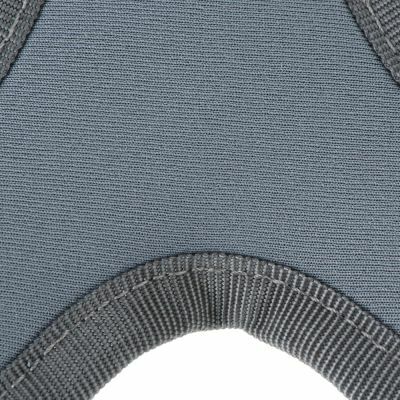 The inside is padded with neoprene covered in soft material, to protect your dog’s neck and chest. 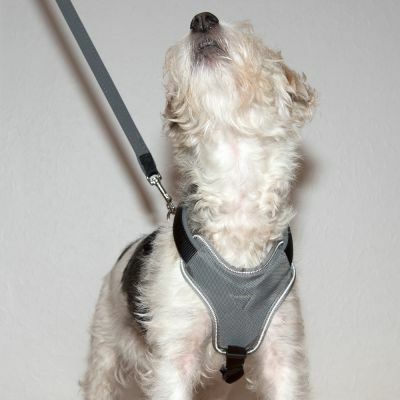 The padding prevents the harness from rubbing or cutting in, even when your dog tugs on the lead. 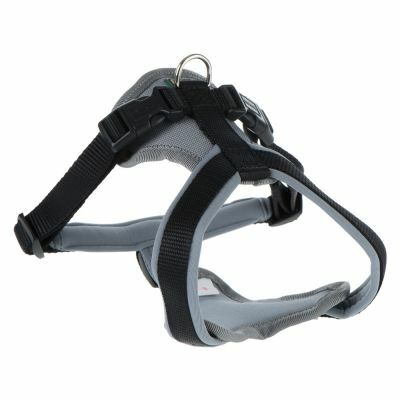 The outside of the harness is made of strong nylon material, which makes it both secure and rip-resistant. 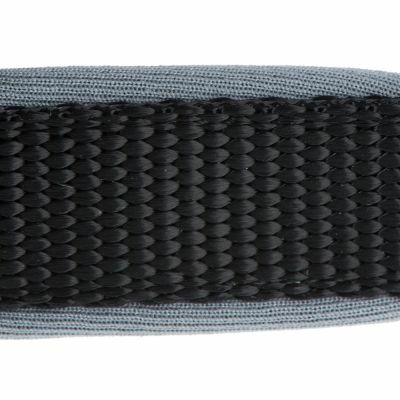 The combination of durability and comfort makes this harness the ideal accessory for high-intensity sport activities like cycling or jogging, as well as your daily walks. The O-ring is made from nickel-plated steel – ideal for hooking on the matching Hunter lead. 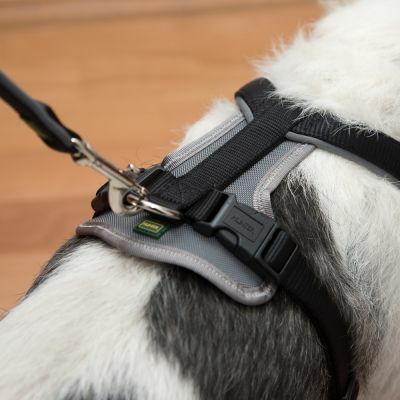 The harness has 2 click-fastenings, making it easy to put on and take off. 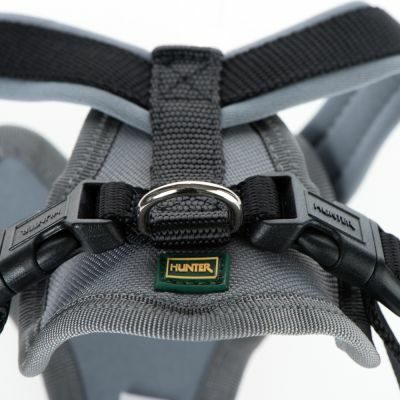 As with any Hunter product, it combines comfort with functionality and great design. This Harness does not adjust at the front and is quite useless. Brought the Large to fit round my Cocker Spaniel as his chest is 65 cm and the other reviews said to get the size up if its close. 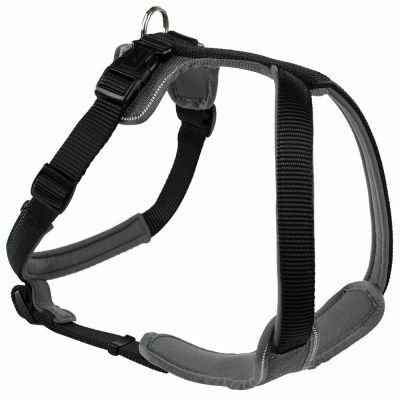 The chest strap fitted him fine, the neck or front strap was hanging very lose and definitely defeats the object as a harness are meant to make it extra secure. Also there was no padding around the plastic buckles on the chest strap which could become uncomfortable. Zooplus have said they will refund. The worst harnesess I have ever had! Poor quality. Less then 2 month old, but fabric is already wearing out. I have a big dog (GSD x) I measured her up and opted for the XL - it was however a little small, fitting on the maximum adjustment with no room for expansion! So I've exchanged it for the XXL size. If your dog is on the top end of the sizing scale then I'd go for the size up.